There has been plenty of debate over what Andrea Horwath’s plan to make Ontario a sanctuary province means, especially when it comes to healthcare. Bottom line, it will mean anyone that wants “free” healthcare in Ontario will get it. Think about that, we are dealing with a system that has hallway healthcare right now. We can’t properly treat the people that we have that are coming here legally because of the structure of the system, yet Horwath wants to add more. Under Horwath’s plan those here illegally would have equal claim on the system. I’ve been writing about this since mid-April and only now are some catching up, albeit badly because some think this simply isn’t true. The NDP platform is clear. 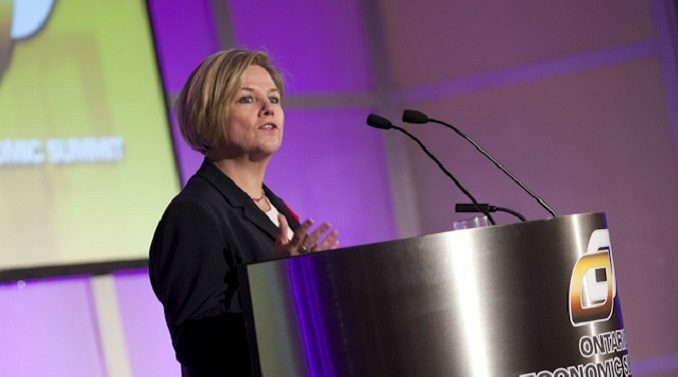 Andrea Horwath and the NDP will declare Ontario to be a sanctuary province. Cities across Ontario have declared themselves to be sanctuary cities, where people can access basic services without fear, regardless of their immigration status. This is the decent, humane thing to do. So how are we to read that? Well, the easy way to read that is that statement is to say that anyone that comes across our border, regardless of legal status can get healthcare. Now I was asked on Twitter if that meant people from Detroit could jump across to Windsor and get treatment they could not afford in the United States. Under Andrea Horwath’s plan, yes. Granted they would have to wait forever like the rest of us but that could still happen. Horwath would admit anyone into our health or education systems, or any system, regardless of their legal status. So you don’t need to be a citizen, you don’t need to be here legally under her plan. Horwath has been clear about sanctuary. Here is how a piece from this past weekend in the Ottawa Citizen put it. 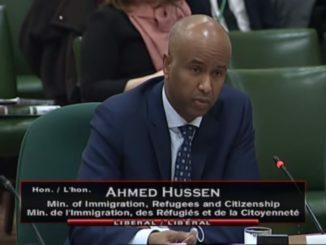 The New Democrats would make Ontario a “sanctuary province” for people who didn’t come here legally, for instance, so public services would be open to everyone regardless of their citizenship status. Practically, Horwath said, that would mean eliminating the three-month waiting period for public health coverage. Show up at an Ontario hospital and your treatment’s free, she said. Right now in Ontario, if you move from another province to somewhere like Toronto or Ottawa, you must wait three months for health coverage. But if you cross illegally at Roxham Road in Quebec the feds will cover you. Under Horwath’s plan, anyone in Ontario could claim health coverage. I know lots of Canadians think their healthcare is free. The fact is that almost half of your provincial taxes go to healthcare costs. So to do a good chunk of your federal taxes. Nothing is free about it. And yet the leader of the NDP, quite possibly the next premier of the province, is calling for everyone to get “free” healthcare. 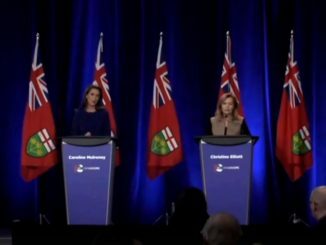 Doesn’t matter if they pay taxes, are here legally or illegally or are just healthcare tourists….under Horwath’s plan, they would be covered. Is that what most Ontario voters want? Most Ontarians are open and welcoming of newcomers. I am the product of immigrant parents. Most of the kids I went to school with were the same. I had a paper route that would have challenged the United Nations. And yet, what unites immigrants, the legal ones, is that they expect others to follow the rules. Horwath and the NDP are telling people not to follow the rules. If she wins the election, this won’t end well. How do Liberals spend $548 on coffee for 6? Try real hard! 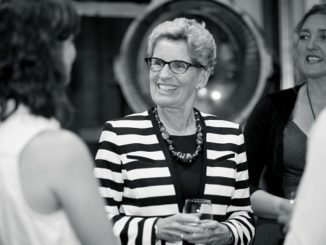 Could the NDP win Ontario? Absolutely! Nothing like giving it all away. Anyone voting NDP or Liberal is as stupid as a bag of hammers. If the NDP win a Majority, I am moving out of the Province. I am super glad I moved out of that sh!thole called Ontariowe. Among my life’s best decisions after leaving the armed forces. It’ll be fun to watch that province dwindle down to a banana republic. Ontarians have learnt nothing since Bob Rae, McGuilty and Wynne mismanaged the once economic engine of Canada. Toronto will soon be like Caracas.